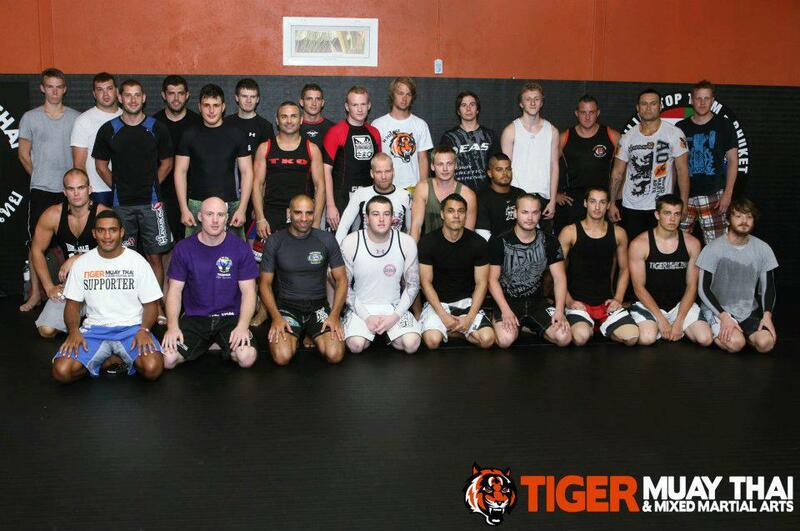 Tiger Muay Thai & MMA Training Camp, Phuket, Thailand offers a modern Mixed Martial Arts training facility located in its own 200 square meter section of camp. It includes padded mats for wrestling, Jiu Jitsu and takedown sparring, along with a state-of-the-art 8 meter caged ring imported from the United States, heavy bags and other striking gear. Guests also have access to the weight room, cross fit area, stationary bikes, professionally instructed fitness classes, as well as the Muay Thai facilities. For more information about the beautiful facilities at Tiger Muay Thai & MMA Training Camp, Phuket, Thailand, click here.